When you’re getting ready for the day every morning try something new: Confess how much you love yourself. Seems weird, right? It works, trust me. You shouldn’t have to depend on others to compliment you or give you praises – not all the time anyway. Here me out, receiving encouragement from others is awesome and healthy. But what are you giving yourself? Not everyone is able to give self love, and that’s ok. Sometimes it takes a while. I am my biggest critic, I am hard on myself when I don’t have to be. But I have learned the importance of loving me, because I didn’t always, not fully. Growing up I agonized over my dark skin, afraid to stand in the sun too long during the summer because I didn’t want to get MORE dark. It sounds silly now but it was how I felt. Once I let go of that fear and kept it real with myself, I shed so much of the disgust and sadness I felt until about age 20. So now just 8 years into my newfound love of myself beyond complexion but also other things I can be self-conscious about, I really do love ME. 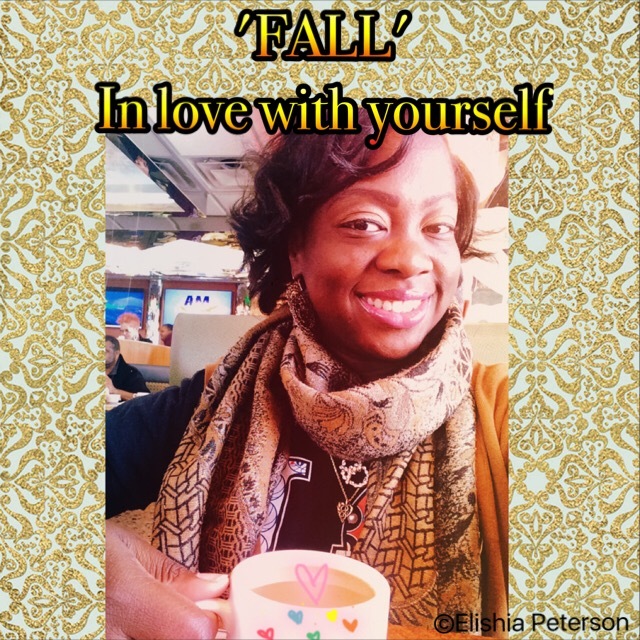 So take some time during this fall season to fall in love with yourself. If you’re already pretty confident in who you are, cool. Though there’s always room to improve and grow. This week on Labels, Love, and Living I’m covering a Thanksgiving “I’m trying to cut back” survival kit, warming up in sweater weather, and while my single status needs to change. Tap here for more on the below quick vid! This entry was posted in Uncategorized and tagged Fall Fashions, love yourself, Single Status, Sweater Weather, Thanksgiving. Bookmark the permalink.